Christian Youth Work in Theory and Practice provides an introduction to and overview of some of the key areas of teaching and practice for Christian youth workers. 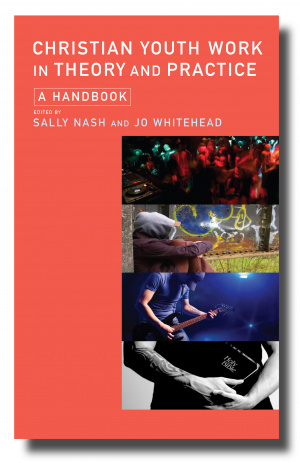 It offers theoretical and theological perspectives as well as insights into different contexts of Christian youth work. The first section explores some important core concepts including defining the field and engaging with some of the wider debates in the field. The second section explores some of the important contexts where youth work happens including church, family, relationships, discipleship and ethical dilemmas. This is the first major introduction to Christian Youth Work from a UK perspective. Written by some of the leading practitioners in the field it will be an invaluable text for all Christian youth workers and students in the field. Christian Youth Work in Theory and Practice was published by SCM Press in May 2014 and is our 10951st best seller. The ISBN for Christian Youth Work in Theory and Practice is 9780334046431. Be the first to review Christian Youth Work in Theory and Practice! Got a question? No problem! Just click here to ask us about Christian Youth Work in Theory and Practice.